Explore the sinister ghost house to reveal the age-old mysteries. House of 1000 Doors: Family Secrets was available as a giveaway on April 24, 2016! Explore the sinister ghost house to reveal the age-old mysteries together with the young writer Kate Reed in the game House of 1000 Doors: Family Secrets! Are you fond of captivating games where you become a detective who is doing best to help people blame the criminal of find their lost property? But what will you do if you come across the strange case where all the participants died centuries ago? If you are impressed, launch the game House of 1000 Doors: Family Secrets and help Kate Reed investigate the eerie story. How would you improve House of 1000 Doors: Family Secrets? Stephen Brown, Hi, by all means have a break, rest, late breakfast Dear Friend! What You are asking this Community today has a perfect sense, but I for one truly cannot see how that might work in weeks ahead.. I will tell You why. What (who) is any Community?, what (who) is GGOTD Community?, what (who) are Developers?? Human Beings off course! :) And Human Beings (apart from business-like approach) will always have a habit of saying and adding something else to greatly ENRICH any Discussing Platform with little 'twitter-like' situational comment like Yours above (and many before, now in long gone Archives..) None of us are Robots You see:), and worldwide Community here brought over the years so many interesting comments and facts (away from discussing Games only..) - from their walks of life and Countries that.. not just us, but Developers might have occasionally benefit from these facts and wisdoms making them see that Commentators here are indeed a bunch of amazing and amusing Humans! :)) Ps. Being a free spirit and never a teachers' pet gives me confidence to have my own opinions, not necessarily fitting with popular 'party lines'..I always valued You for being more a Mentor on GGOTD than Teacher (huuuge difference!). Please don't change that Dear Friend. You may naturally delete my post. Happy Day! Stephen Brown, I downloaded all of the files last night, but had to leave before I installed them on the computer today. NOW, it is too late That is really disappointing. Not being able to get the game after I thought I was. Any thing you can do to help me out? Unfortunately once the game giveaway is over if you haven't installed the game you won't be able to. Giveaways must be downloaded and installed on the day of the giveaway. Not all is lost though. Todays game giveaway was actually given away by a developer who also runs a free game site and the same game is still available from their site. The only difference is that during installation you must uncheck any checkboxes that are presented, otherwise you may end up with toolbars and your home page changed. There is also a second site that i have been told is a better option. The same game is available from both of those sites. I've posted the appropriate links to both sites below, just click on either MyPlayCity or TooMky Games. But - Game we have here is quite long, HOs not too easy to find, pleasant graphics, storyline quite diverse when entering different rooms and places (Map is crucial to 'teleport' oneself instantly, thanks for that), and gripping. I was mildly disappointed at least twice when.. I had to part with objects in Inventory Box, staying there for a while.. Mouse had to be given to Cat (to eat! :), and occasion when I had to use a Whip on poor Ox later on, for it wouldn't shift, oh dear, really? Also have I missed something about spotting and collecting 'odd objects' which go to some place and apart from telling me how many out of possibles I found - that amounts to what exactly?? For HOGletts, like myself, I would still recommend 'House of 1000 Doors - Family Secrets', not a bad Game! I would hate if proposed (and executed) changes would further alienate Visitors still expecting to find and meet 'the other' Stephen, WR that is.. Entirely my personal view and voice. P.S. Sorry for a novel:), mea culpa. When I saw that todays game giveaway was coming from MyPlayCity I was hoping that the giveaway team had arranged to remove the requirement for your browser opening to MyPlayCity's home page when you close the game down, also, that the advert at the beginning of a boot up was removed. Unfortunately both of those remain (very disappointed), however the need to uncheck boxes for toolbars does appear to have been removed. I must reiterate what I've said before with respect to commenting about the game giveaway and not about other things, It has been increasingly difficult to obtain games from developers which is why the giveaway team have had to try different methods to obtain free games. I know many of you don't like this, but it's beyond my control; I'm just a volunteer on this site and have no say in such matters. There will still be the 'old style' games given away as and when the team can secure them from developers. What we need to do is to stop the whinging and complaining and start to give decent feedback about the games, be it negative or positive, instead of saying things like I don't like this new game giveaway, I don't like Facebook, I don't like Steam, I'm leaving, goodbye, I'm out of here and other such comments that decry this site. If we want more decent games we have to see your (the communities) opinions of the games we get. It doesn't have to be a ten page novel, just a paragraph detailing what you like or dislike about the game and what you would have liked to have seen, be it a more colorful game, less violence, easier to see hidden objects, better tutorials etc etc. ; you could even post bullet points or a numbered list of what you would like to see, or what you thought was not so good. 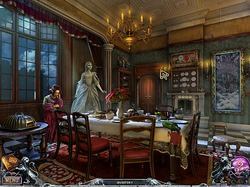 A gorgeous Hidden Object game with a ghostly theme based around a seance at a large mansion. Overall I'd give this game a 7.5 out of 10. For those who find this game not to their liking, instead of posting a few words saying you think this is a waste of time, or other words to that effect, would you instead give some feedback detailing why you don't like the game and how could it be improved from your point of view. If you don't like this genre at all, explain why. There are thousands of subscribers to the game giveaway of the day every weekend which makes this an ideal forum for giving developers ideas as to what their consumers (i.e you) would like to see in a game. For example, you could suggest extra content that you would like to see that would make it more appealing to you. Explore the sinister ghost house to reveal the age-old mysteries together with the young writer Kate Reed in the game House of 1000 Doors: Family Secrets! Are you fond of captivating games where you become a detective who is doing best to help people blame the criminal of find their lost property? But what will you do if you come across the strange case where all the participants died centuries ago? If you are impressed, launch the game House of 1000 Doors: Family Secrets and help Kate Reed investigate the eerie story. Kate Reed is a young science-fiction writer with a bad credit status. She used to be famous but the rivalry among ambitious writers is too high and the more successful opponents are now in the limelight. But one rainy evening Kate received an invitation to the spiritual school where she can see ghosts. Full of enthusiasm she called a taxi and went to the school out of hand. Kate was an orphan, all her relatives died long ago at the strange circumstances and she tried to reveal the mystery of their deaths all her life long. And now she got such a perfect chance to join the spiritual séance! It will be silly to miss it. But when she came into the school she saw the figures in trance and the ghost of Kate’s grandmother asked her to go to the haunted house and return a fair name to her and her sisters. When the dead cannot find peace, the House of 1000 Doors serves as a portal that allows the living to help them. But as the House appears at locations around the world, it doesn't let just anyone in. To step beyond its threshold, a person must be able to communicate with spirits. And Kate is just such a person. 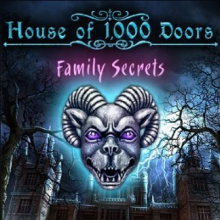 In the great game House of 1000 Doors: Family Secrets you will boost your skills at searching hidden objects, solving mini-games of different genres and admire the breathtaking atmosphere of the sinister haunted house. Help Kate overcome lots of obstacles in the at first unfriendly house and set the souls free! If you have a problem installing or activating or getting the game to work please visit the problems section, which I've now incorporated into the FAQ's thread you can find it HERE and the recent games deals (now called The Weekly roundup of Game Deals) is HERE. I've not posted the installation section yet, just not got around to doing so. In the meantime, if you have problems installing the game, just post a comment here, thank you. A washed-up writer receives an invitation to a seance and is pulled into a paranormal mystery. The only thing worse than failure is success, as any has-been writer can tell you. 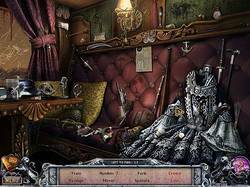 House of 1000 Doors: Family Secrets stars just such a writer in a twist on the familiar hidden object adventure “save the souls” theme. While this version won’t blow the doors off the hidden object world creatively speaking, it does represent one of the more well made and intricately-designed games in the genre. At the start of Family Secrets, once-successful author Kate Reed’s suffering some serious writer’s block. With no ideas on the horizon and her last success dwindling into the distance, Kate’s in the middle of a full-blown career crisis when a strange box appears on her doorstep. The box contains an unusual invite—to a séance, something Kate’s always dreamed of attending. Gladly abandoning her go-nowhere work, she jumps in a cab and zooms across town to find the so-called séance to be only a ruse—an entry point into an inter-dimensional mystery. At the center of this mystery is the titular “House of 1000 Doors,” a supernatural structure that travels through time and space. This haunted habitation houses not only restless spirits of all stripes, but various gifted mediums who work to help these spirits move on to the next plane. Unbeknownst to her, Kate’s psychic powers make her a prime candidate for this trandscendental troupe, as her encounters with the strange denizens of the house quickly prove. Not only is Kate charged with helping the other mediums in the house figure their stuff out, she’s also asked to uncover a decades old murder and restore her dead grandmother’s sullied reputation. It’s a lot for one girl (or one gamer) to take on, but thanks to ease of use and slick presentation, the game’s complex design never becomes too daunting. A lot of hidden object games take the ham-fisted, easy way out in terms of design. You enter a location, realize you need an item (a tool, a key) and then find that item by way of a nearby hidden object scene. House of 1000 Doors: Family Secrets takes that basic premise but weaves its puzzles, solutions, items and hidden object scenes into an amazingly complex web of interconnected occurrences. This makes the gaming experience feel more fluid and organic and the result is more a natural, cohesive narrative that feels as if it’s unraveling as you go, rather than being a series of scenes, clumsily cobbled together. This intricacy of the game’s design is its main advantage but far from its only one. A cool mechanic that allows you to travel among dimensions makes for a lot of environmental variety and it’s easy to imagine this being used to good advantage in future House 1000 Doors titles. The graphics too are good (aside from the occasional mannequin-like character) and the voice acting used in the numerous cutscenes while not Oscar-worthy, manages to avoid being embarrassing. In addition, the game earns a big thumbs up for providing a clear, concise map which not only tells you where your objectives are, but allows you to teleport directly to them. You’ll find video's of The House of 1000 Doors: Family Secrets game play HERE, HERE, HERE, HERE, HERE, and HERE. You can see over 30 in game images HERE. You can also find a walkthrough HERE. Of course like most games, House of 1000 Doors: Family Secrets is far from perfect. The first of its issues: originality. 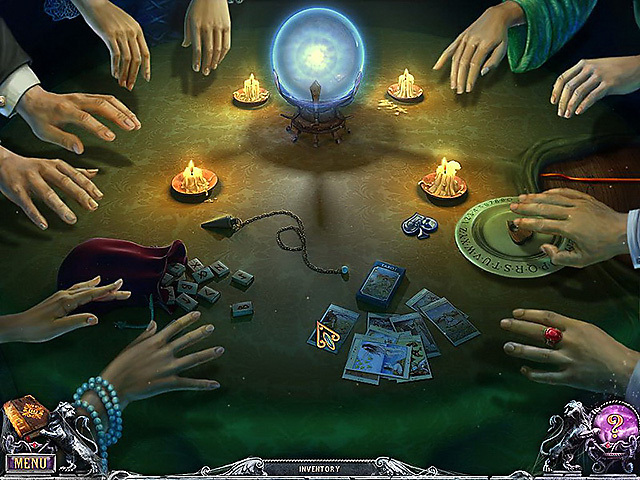 Helping troubled spirits go into the light is a highly overused hidden object theme (nearly as overused as the “evil theater/carnival/toyshop owner” theme). And with every third hidden object title being related to ghosts, the Five bn Alawar team could have done us a favor by coming up with a more creative story idea. Second issue? Unfulfilled potential. For half a second I thought the game was breaking new ground and taking a page out of the old school adventure genre by giving us a meaningful choice to make, but not so. After seeming to be offered a choice of ending, a specific ending is forced upon you, and it’s really disappointing. Finally, the game’s bonus chapter, while offering more good gameplay, feels narratively speaking, somewhat tacked on. House of 1000 Doors: Family Secrets is a worthwhile, if not particularly unusual, hidden object adventure. Tinkering only a little with the popular ghost theme, it doesn’t stretch its, or our, imaginations in its approach to storytelling. Fortunately for us (and the developer Alawar), this isn’t hard to overlook thanks to the game’s expert puzzle design, varied locations, clear objectives and easy navigation. I've added more categories to the score board, but I won't be giving an overall average score based on all the categories listed above because each holds a different weight when comparing each category . Overall, I'd give House of 1000 Doors: Family Secrets an 7.5 out of 10. I'd like to take this opportunity to thank the developer MyPlayCity for giving House of 1000 Doors: Family Secrets for free today and to the game giveaway team for finding yet more games. The latest free game over on Origin has changed to the excellent FPS game Medal of Honor Pacific Assault. It's a little dated compared to the latest FPS games, but is still a great game with excellent graphics. It was released around 2005 so should easily play on most computers of today. You can get it HERE. Please note that you do require the Origin game platform to be able to download and install the game. If you are having problems installing the game check the thread I've linked to above. If you can't find any fixes check the comments made below and over the last few weeks for suggestions. Thank you. you wrote: "from MyPlayCity I was hoping that the giveaway team had arranged to remove the requirement for your browser opening to MyPlayCity's home page when you close the game down, also, that the advert at the beginning of a boot up was removed. Unfortunately both of those remain (very disappointed)"
After instaling a my play city game I always first remove all of the internet shortcuts from the installed folder. Second I change the desktop shortcut from "name of the game.exe" to simply "game.exe"
This solves the problems you mention! furthermore, this is on the myplaycity site: "This game is brought to"you by our sponsors. It is always free. Yes White Rabbit - mostly. It does get tiresome just seeing posts of people whining / complaining about the type of game (just don't download it), the platform used etc. What I like to read is the reactions to the game and any pertinent info (such as I downloaded it on Windows 10 and it won't work). Replies to difficulties with the download/install are much appreciated for those having other problems. (Although I have to admit that with yesterday's misfire, I did post that I too got the key no longer available.... That was a disaster not of your making and I feel bad about all the heat this site took....). I too really appreciate all you do for this site, especially given the fact that it's volunteer! I'm sure that some days it must feel like you have no life at all except for this!! Today's game is a definite keeper for me. Downloaded/Installed onto Windows 10 - 64 with no problems what-so-ever. I was a bit disappointed to see IE open in a mini-window when I started the game (FF is my default browser) and also seeing a FF window open when I close it, but as you said, at least I didn't have to worry about toolbars this time around. The graphics are beautiful and from what I've played so far, it moves along well. At this point, I find nothing that I don't like and appreciate the casual mode. I tore myself away to get other things done.... will be playing more later. Yes White Rabbit - mostly. It does get tiresome just seeing posts of people whining / complaining about the type of game (just don't download it), the platform used etc. What I like to read is the reactions to the game and any pertinent info (such as I downloaded it on Windows 10 and it won't work). Replies to difficulties with the download/install are much appreciated for those having other problems. (Although I have to admit that with yesterday's misfire, I did post that I too got the key no longer available.... That was a disaster not of your making and I feel bad about all the heat this site took....). I too really appreciate all you do for this site, especially given the fact that it's volunteer! I'm sure that some days it must feel like you have no life at all except for this!! Today's game is a definite keeper for me. Downloaded/Installed onto Windows 10 - 64 with no problems what-so-ever. I was a bit disappointed to see IE open in a mini-window when I started the game (FF is my default browser) and also seeing a FF window open when I close it, but as you said, at least I didn't have to worry about toolbars this time around. The graphics are beautiful and from what I've played so far, it moves along well. At this point, I find nothing that I don't like and appreciate the casual mode. I tore myself away to get other things done.... will be playing more later. As he stated in the beginning, getting games has become increasingly more difficult. Mostly because of the overly negative feedback that has nothing to do with the game itself, but other aspects of this site, or the platforms games are on, etc... I've noticed very few people actually talk about the games themselves on here, just complain about everything else, providing no constructive feedback for the developer. Even on the main GAOTD site this has been an ongoing issue leading to the same developers over and over and over. Levitiquetus, I agree that you should be gratefull for wat you get but this is not a present, it is a giveaway that already was for free. If this is what the gamegiveaway is about than a shortcut to the real provider was enough. This is not "We offer FREE licensed games you’d have to buy otherwise. ".....This is "we are offering something that was FREE already and act as if we have something to do with it"
Games obtained from places like MyPlayCity are actually still commercial games. All of the games you find there are still being sold on most other sites like Gamehouse and Big Fish. The difference is that MyPlayCity, TooMky Games, Gametop and others pay the developer to be able to give the games away for free. They earn their cash when you visit their sites and whenever you play the games that have been given away. These sites have added plugins that always open your browser when you close the game down, some have in game advertisments (that either show up at the beginning when you boot up the game, like they do with MPC games, or that pop up every few levels of a game.). Usually you also have to install toolbars or accept other changes like using a different browser or have your home page changed to their home page. You can usually opt out of most of those, but you have to remember to uncheck the check boxes. What these sites rely on is that some either forget to uncheck the boxes and end up with those changes, and for those that are wiley enought to uncheck the boxes you still end up visiting their sites, so they always end up earning something when you play their games. Most of these sites also change the way that they present these extras, for example MyPlayCity will often remove the requirement to uncheck boxes, then change it back, but in a slightly different way, or they will force you to uncheck the boxes every time you play the game, so those that have been wiley enough to uncheck the boxes get caught out and end up with tool bars anyway. (You may think 'hey, i'll never get caught out', as I did when I used to download games from those sites, but on several occasions I did get caught out and ended up with toolbars installed, my browser changed and my home page changed. Thankfully I know how to easily remove toolbars and am proficient enough to be able to change my home page back to the one I prefer and in other cases change my browser back to the one I prefer) These are easily be removed, but not everyone is technically minded, so end up with these toolbars anyway despite having avoided them the first time they installed the game and then end up with the toolbars as a permanent resident in their browsers until they either upgrade their computer or install a new operating system. Some community members have posted ways around the browser opening, but this is technically illegal and those that do it are breaking the agreements they make when they download and install those games, so basically they are stealing the games. At this time their is no way to police this, so you are able to do so with impunity. The main difference between game giveaways and those downloaded from these free sites are that your browser usually isn't forced to open at the game giveaway site every time you play the games and you don't have to worry about toolbars being installed or and changes being made. Today's game is the first ever game given away where when closing the game your browser is opened to the MyPlayCity home page, but you do not have to worry about the other things such as toolbars, home page hijacks etc, so getting this game from the game giveawayoftheday is still preferable to getting them directly from places like MPC, TooMky Games, Jenkat Games, Gametop etc. your reply "sounds" nice but you forgot that Stephen Brown also wrote: " I was hoping that the giveaway team had arranged to remove the requirement for your browser opening to MyPlayCity's home page when you close the game down, also, that the advert at the beginning of a boot up was removed. Unfortunately both of those remain (very disappointed)"
so what you are telling me in your reply is rubish.....! your reply "sounds" nice but you forgot that Stephen Brown also wrote: " I was hoping that the giveaway team had arranged to remove the requirement for your browser opening to MyPlayCity's home page when you close the game down, also, that the advert at the beginning of a boot up was removed. Unfortunately both of those remain (very disappointed)" so what you are telling me in your reply is rubish.....! voorbijganger, I've received plenty of free games here that, yes, I would have had to pay for on Big Fish games, etc. Maybe it was free elsewhere - but it hasn't always been free (unless to test). I'm happy to have the games/software offered here because it introduces me to developers' products I had not known about. So free here, or free somewhere else - you're not paying for the offering, and comments/feedback on the game are valuable. I, too, get tired of seeing only personal comments about each person's trouble or incompatibility. I think those should go to the Moderator only to fix the issue or discuss it. However, I believe the developer and GAOTD are providing these games because the developer finds value in how well the game plays, interest in the game, comments about graphics, etc. if you'd like to see more from this developer or this type of game. This reminds me of Amazon where people leave feedback about a book arriving later than he'd like - rather than rating the PRODUCT! voorbijganger, I've received plenty of free games here that, yes, I would have had to pay for on Big Fish games, etc. Maybe it was free elsewhere - but it hasn't always been free (unless to test). I'm happy to have the games/software offered here because it introduces me to developers' products I had not known about. So free here, or free somewhere else - you're not paying for the offering, and comments/feedback on the game are valuable. I, too, get tired of seeing only personal comments about each person's trouble or incompatibility. I think those should go to the Moderator only to fix the issue or discuss it. However, I believe the developer and GAOTD are providing these games because the developer finds value in how well the game plays, interest in the game, comments about graphics, etc. if you'd like to see more from this developer or this type of game. This reminds me of Amazon where people leave feedback about a book arriving later than he'd like - rather than rating the PRODUCT! I thoroughly enjoyed this game. It has a nice mix of puzzles to HOG pages that kept my interest throughout. GOTD DELETES COMMENTS! SUMO/KC SOFTWARE deactivated this license on purpose!!! SCAM SCAM SCAM!!!!! Thanks for this game giveaway. I just finished it and I must say it was fun! Just enough challenge and it flowed very well. I'd rank this near the top of this type of game for me. I played in Expert Mode, it provided hours of entertainment - I hated to see it end :) I had no trouble downloading it, (Windows 7) and it was smooth playing throughout. Congratulations on an excellent game! Thanks for this game giveaway. I just finished it and I must say it was fun! Just enough challenge and it flowed very well. I'd rank this near the top of this type of game for me. I played in Expert Mode, it provided hours of entertainment - I hated to see it end :) I had no trouble downloading it, (Windows 7) and it was smooth playing throughout. Congratulations on an excellent game! It tried to connect to the internet everytime I tried to start the game. It was installed and activated. It would not even show a start screen. I clicked the icon to play . it brought up internet explorer, said could not connect and then nothing happened. Uninstalled for trying to connect and not being able to play this game.. Please do not remove any well thought out and polite comment on any matter of any relevance to forum posters. Please do not remove a comment from a regular useful commenter, who might be a little rude once in a while. Please do feel free to remove moronic, pithy and abusive comments as necessary. I have posted about 10 times on the other GOTD site and about half of them have been deleted. I find their censorship to be inconsistent and basically bad. Once I had to jump through many hoops to get the software installed and registered. I posted the entire ridiculous list of steps I needed to take, and the censor decided to delete that post. Who exactly does that help? Sorry, I have not been able to provide good reviews for the many games I have downloaded. I download most of them but sadly do not have time to play them. I have not written reviews on these for a few reasons. I play them weeks or months after the giveaway. It can be hard to find the giveaway page. I suspect no one would read the review. If someone does read the review, it would be pointless because they can no longer download and play the game. * When a game is given away again, the old comments should show up so all the good reviews can be read by new viewers. Stephen, Since you asked. Please do not remove any well thought out and polite comment on any matter of any relevance to forum posters. Please do not remove a comment from a regular useful commenter, who might be a little rude once in a while. Please do feel free to remove moronic, pithy and abusive comments as necessary. I have posted about 10 times on the other GOTD site and about half of them have been deleted. I find their censorship to be inconsistent and basically bad. Once I had to jump through many hoops to get the software installed and registered. I posted the entire ridiculous list of steps I needed to take, and the censor decided to delete that post. Who exactly does that help? As to providing feedback on the games: Sorry, I have not been able to provide good reviews for the many games I have downloaded. I download most of them but sadly do not have time to play them. Over the last few years I have played and enjoyed: "Heroes of Hellos" "Dig Dog Out" "Railroads of America" "Wild West Story" "Fortside" I have not written reviews on these for a few reasons. I play them weeks or months after the giveaway. It can be hard to find the giveaway page. I suspect no one would read the review. If someone does read the review, it would be pointless because they can no longer download and play the game. Hard to solve the problem, but here are some suggestions offered humbly to you: * Change the forum system so that recent posts about ANY game rise to the top * When a person reads the comments for an expired game there should be a box where they can place their email address to be notified when this game is next given away * When a game is given away again, the old comments should show up so all the good reviews can be read by new viewers. No, I used to run an open system, there are ways to deal with bad people-but always make sure when you speak and lay out the truth tables for the new rule-set, that mainly you have everyone behind you. There appears in todays world a real danger of alienating people by assuming they just go along with things, when indeed they are actually unable to even speak because of pressure. Instead I would use the experience of Yourself, who I may wrongly assume-- never the less I assume, you have been around since before computers like myself. I trust you are quite capable of moderating, the few bad apples out of, a few forums, either way. It is common sense really. House of 1000 Doors - Family Secrets. Noted that the Contrast on the hidden objects appears better than in other HOG's. Enjoyed that it resume's from same place. seems more like an enhanced hog that I find myself getting over things like this new standard of how it behaves, as opposed to suggesting some new enhancement. The whole 3d-ish hollywood movie theme in a game is new to me. That Barking dog made me JUMP! So more dogs that make me JUMP! there ya go a suggestion.. This was so much fun. I spent hours playing this game, which was challenging at times and simple at others. It's wonderful that there are people out there who spend their time creating these great games for people like me. Hidden object games are my favorites, simply because they aren't too stressful, which is what I really enjoy. Games that are too hard defeat the purpose of my enjoyment. Thanks to the creators and distributors of these games and to Games Giveaway of the day for passing along so many hours of enjoyment. I will reply to eveyone who has made a meaninful comment over the next few days. There has been so many comments made today that it will take me several r hours or more to answer everyones comments, so I'm going to break it up into bite sized sessions that I can cope with. The way the comments are arranged in the admin panel, it's easier for me to answer the most recent comments first, so those who commented first will unfortunately be the last to be replied to. I apologise for this. I'm rather ill at the moment and am finding it difficult to sit here at my workstation. Whiterabbit: Thank you again for all your hard work keeping this site going for as long as you have. Yes to deleting whinge-only comments. We've all gotten it out of our systems and will stay or go depending. No to keeping only positive comments about the game. Review: I purchased this game on sale several years ago, so can't comment on downloadability. House of 1000 Doors series runs hot and cold. This one is good storyline and graphics-wise, but pretty much cookie cutter as far as gameplay and puzzles. Still, for those who enjoy HOGs, may be worth the trouble of the d/l, although it's a bit late for that. It's up to you as you handle the comments; I'm good either way. As for the game: I had played this game in beta testing back when it first came out. I only got to halfway and then it needed to be finished and ended. It was disappointing because I wanted to see how it finished having gotten wrapped up in the story line. Only some of the scenes until you get to one where you see ppl's hands are at the table were familiar. I am anticipating that the second half will be as exciting as the first half was. Thanks for a wonderful giveaway. Can't install it, tried 5 times and still it won't install, downloaded 4 times, still the same! Make sure that everyone can install it! Hi Dejonghe K, thousands of community members have been able to install it. you must be doing something wrong at your end, or your computer has been configured not to accept the game. It's most likely to be your security that is blocking the game. The wrapper that protects the giveaway from hackers contains Themida code, which is often seen as a threat by some anti malware suites, so is automatically blocked. To install the game you would have had to turn off your security. This is mentioned in the forums which i link to in my review for those that are having problems. Maybe you missed the link when reading the review above, or maybe you didn't read it or any of my comments in answer to others that have been having problems? Thank fully you can still get this game directly from MyPlayCity. i've linked to it in my review. You can also get it from TooMky Games. The main difference between the gamegiveaway and the MPC version is that they have removed the toolbars and home page hijacks, so, if you download from those sites be sure to uncheck the boxes. The games are basoically the same apart from those changes. corrupted files both times you need to fix this as I usually recommend you to ppl. OMG - I *love* this game! Lost it during a computer transfer or something and am SO excited to find it here. Can't wait to play it again. Thanks so much!!! Could not get game to load. After turning off Panda Gold virus, processes, and firewall protection, did get game to install. What I got for my trouble upon clicking on installed desktop icon was a long wait while viewing a pop-up and a barber pole loading bar with the large word Download some different supposedly sponsoring game. I never did click on the proffered download button btw. After a considerable wait, the software would open my browser to two MyPlayCity web pages unbidden by me. But I never saw a window for the House of 1000 doors game come up. Panda Gold antimalware and interenet security software classified this download as a trojan and the setup.tmp programs as viruses. It took a bit of doing to get that stopped. Yet I was not successful in getting the software to load -- just the totally annoying opening of my Firefox browser to the MyPlayCity webpages. So it goes with the new and seriously troubled GameGiveAwayOfTheDay site. Ever since the GGAOTD folks went to this new format, I have not been successful in loading and installing a single game. Poor. Grade F- in my book. If the object is to offer fun and interesting games, is it really instructive to annoy and irritate the potential user? I realize that antimalware software has become much more sensitive and efficient in recent times as have malware threats become increasingly clever and devious. But of late, I can only conclude that GGAOTD has brought most of these issues on themselves. I am getting very, very close to being done with GGAOTD. Who needs this kind of hassle? Hi Walt, may I ask, how much RAM (both system and graphic) do you have? It could be that you don't have sufficient RAM for the game to load quickly enough. The game giveaway team have found it increasinly difficult to get suitable games for reasons I cannot explain. They have resorted to other means of getting games, some of which are limited to only a few hundred downloads, so mast giveaway members may miss out, but at least some will have got their free game, and in some cases the ability to install the game at any time for the rest of their lives.. The MyPlayCity game you downloaded still contained some of the plugins that are familaiar to those that regularily download MyPlayCity games, but the toolbar plugin and browser changes and home page change plugins have been removed. Your anti-malware suite is more than likely seeing the Themida code that has been incorporated into the giveaway wrapper (which protects the games executable from being hacked - prior to the new wrapper many community members had figured out how to rip the wrapper and received an executable that could be installed whenever they wished after the giveaway had ended. Many of these ripped exe files were then placed on peer to peer sites. This practice almost certainly lost the giveaway project many developer contibutions. All giveaways including this one from MyPlayCity are as safe as if you'd purchased the game from places like Big Fish games or Gamersgate, the main differenc eis they as you via plugins to visit their sites so that they can earn some cash to pay for the games (yes these sites have to pay for the games before they can give them away). Your anti malware suite almost certainly picked up the Themida code that was protecting the game) as a threat. Malware also used Themida code, which is why the wrapper was seen as a threat, but in this case it was a false positive. I'm sorry you had problems with todays game Walt, there will be other games available in the future that will be what you uisually expect from this site, just not at this point in time. I just hope the community wakes up to the fact that the constant complaining and whinging from many of those that bother to comment (only 0.01% of the giveaway community actually bother) will not attract potential developers to this site, and if the comments continue in a negative vein with no contructive critisism of the actual game, this site will utlimately die or transform into a MyPlayCity like site. I'm not pointing the finger at you Walt, just trying to make a point that many community members don't seem to get. That is the nature of most game giveaways. They are usually free standing, which means they don't install gazillions of entires into your registry. The way the game giveaway works has necessitated the inclusion of a wrapper, fopr this the usual installer supplied by the original developer has been removed for simplicity. This means no shortcut is installed, however if you look in the reqd me it usually (but not always) tells you where the giveaway will be installed to. if it doesn't, you need to make a note of where it is going to be installed to during the installation process. when isnstalling a giveaway, it always shows you where it is being installed to via the installer. In this case check your my Programs (x86) folder and look for a folder called MyPlayCity, you should find the game inside that folder. Open up the folder, look for the games executable and create a shortcut from there. That is the orce you pay for downloading a game giveaway. Some games do install a shortcut, for example all Playrix games do, and they also install a lot of registy entries. to delete most game giveaways; becasue they haven;t instaleld to the registry, the delete programs will not show the games. to delete you just have to go to where the game is installed to and delete the game manually. Tim, I had to disable my AVG temporarily to install the game. What you are seeing happens when my AVG is active, and nothing is installed. Try that with your antivirus program and you will have success! I've got worse over the day so avoided logging into moderate till now and was faced with almost 80 comments, many of which were extensive, so I've made astart and answered as many as i was able to. it's now past 4am and I really nned to go to bed. I will endevour to answer as many comments as I can over the next day or so. Have a fantastic week folks. Some of the comments here nearly discouraged me from downloading or installing the game. But GGOTD did teach me to enjoy HOGs, A long (25 minute) download and loger than usual install (with anti-virus turned off). It does open browser when the game is shut down but did NOT resize my screen resolution (which is always an automatic uninstall for me). Only played a little but it is a very attactive and apparently innovative game, though the introductary movies are a bit longish for my patience. I guess interactivity and entertainment is good, I prefer to just get in and play the game. And "skip" is an option but I dont want to miss what might be useful information. I fully understand - because it's been explained to others so often - why the changes in GGOTD have been necessary. I will not jump hoops of join sites or let things be added to my start up menu so I will only get the games available through the standard "enter your e-mail" route and do miss the even older "just click here" method, but times change. And as a long time visitor, it's been a great sweet ride. The above are just a few of the obstacles the game giveaway team are facing while trying to get new developers to give us thousands of their games. On top of that, the constant whinging seen in these comments instead of giving good feedback about the game is not going to attract more developers to this site. I've been saying this for years, yet hardly anyone seems to either be listening or cares a jot. If things don't change, I'm sure we will see an end to this, which is a great shame, because the giveaway site is a brilliant place to get free games and appliations. (I doubt the apps side of the project will go as they do get a lot of constructive comments, and apps haven't changed in price like games. YES !!!!! It would be nice if the comments here were just related to the game. The forum would be the place that you would want to discuss the give away team and their ever changing requirements. I would expect that in the forum you might get some feedback from them. Sorry I don't have any game feed back.....haven't had a chance to play it yet. Downloaded quickly on 8.1 and loaded quickly also. I like the graphics and theme. The game moves smoothly with no hangups. It is easy to follow. I played for a couple of hours and am taking a break. I usually don't enjoy continuing that long at one time!! I like that you complete something and then see the train in motion etc. Thanks for another great game! Crashes on me. Try to start the game and get an error message that says the title bitmap in the the german language folder is missing. ???? Tried re-installing. Maybe my download was corrupted. Not going to try redownloading today. After all, can always get it from MyPlayCity, anyway. Also, noticed in the game read me that this developer claims to have tech support. So maybe I'll contact them one of these days. But, today is pretty much a non-Giveawayoftheday for me. Oh, well. Or is that the origin game platform thing? Have no idea what that is, but I guess I'll look around MyPlayCity one of these days to see if I can figure it out. Sorry WR, didn't check back on that until this weekend. Thanks for the info. First game that I am having trouble with. I use win.8. It won't set up. Hi Ron , open up the event viewer immediately after trying to install the game then check the logs for error messages. hopefully you will be able to see why you are having a problem. It may be that your security is stopping the installation due to the Themida wrapper, which protects the giveaway from hackers and is sometimes seen as a threat by anti malware suites. I am not much of a fan of MyPlayCity. I did download it but didn't install it since this seems to be the same as downloading it from their site. I went to http://toomkygames.com/ and got it from there because I have a number of games from them and am more comfortable with them. I very much appreciate the info that it is a MyPlayCity game with all there ads/website redirects. Having that info makes it feel like an ok thing rather than an attempt to sneak something past us. Thanks for your feedback. Seems like TooMky Game sis a cleaner install at the moment. these freeg ame sites do change the way you install frequently, so as to confuse and hopefully trick users into installing toolbars. So far TooMky games seems the least invasive and even apologised to community members last year then changed their installation procedures to make them less invasive. That said, MyPlayCity are one of the oldest free games sites and offer the greatest choice of games than any other free game site. You usually do have to jump through a few more hoops, but in the end you basically get the same game as TooMky Games. I don't think TooMky Games includes an advert at the beginning of the games. YES, to your idea with a caveat that community members should be allowed to express their dissatisfaction if they so desire. Yes and no..I think constructive criticism should be allowed...as long as it is respectful and civil. My weekends have become a lot busier and sometimes I don't have the time to even check what the game is anymore. I have missed a few downloads because of it. I usually don't even get to play it until later that week. So it is hard for me to review or make comments any more. You already know my feelings on HOGs and TM games....Too dark, too much like work..etc. But I found sometime cool and I didn't find it on your game deal thread. As you know, I can't post in the forum(for some strange reason)....so here it is. It's a DAILY deal for a STEAM game..They change their game every day at 12PM EST(my time).
" Our model is a little bit different than other game retailers. We only sell one game at a time, and after 24 hours, it’s gone, to be replaced by a new game. We’re also unique in a few other ways. The most important of which is that we only work directly with the developers or publishers of the games we feature. No matter what, every key purchased on Chrono.gg will have been given to us with the direct blessing of that game’s developer or publisher to be sold here. At Chrono.gg, the creators of the game have the final say on everything from the copy you read, to the branding and images you see, to the price of the product. Essentially, we want put the power back in the hands of content creators and consumers, where it rightfully belongs. I have been hankering for a puzzle game for awhile so Thank You GGOTD. I am starting to get tired of the Hidden Object part of HOGs but like the puzzles, story, graphics and mini games. This is why I have been enjoying easy to find scenes. Haven't played the game yet but the graphics look beautiful and worthy of staring at while playing. I have been hankering for a puzzle game for awhile so Thank You GGOTD. I am starting to get tired of the Hidden Object part of HOGs but like the puzzles, story, graphics and mini games. This is why I have been enjoying easy to find scenes. Haven't played the game yet but the graphics look beautiful and worthy of staring at while playing. Okay - being in a hurry myself today I didn't read every comment but I agree you delete or not let appear the complaining only comments. I guess we all have already told enough how much we don't like the new system but it is as it is and you have been explaining it enough in the last weeks I think. I for myself decide every Saturday / Sunday if I want to participate or download a game. I also have to admit I'd love to get old games which licences are already out of order (don't know how to proper articulate, sorry). Unfortuntaley the download took 4 hrs - don't know why but we are 3 people using the same line by now and it could be this. I only played in shortly, this time with music so I can give a proper review. Installation on Win10 without a problem, usual short disabling of Avira for activation. Beautiful graphics and very calm music. Romping my nerves: The clocks ticking in many scenes - sorry. As a lover of HOG and mystery stories this is a must have and I am looking forward to play this. When ticking Widescreen in the options the black parts left and right of the game in full windowed mode went wider - I thought it should be the other way around. Another screen resolution only brought an even smaller area. I guess the game adjust to the right resolution automatically? I can't say more by now but am nearly sure I will be pleased. Thanks for the game and thanks to you Stephen for being awesome again. Looking forward what will come. I know I am picky in what I like to play but would never give a thumb down or a bad comment when not even liking the game. Thank you for your feedback Anu, sorry it took so long to reply. To Stephen aka Whiterabbit-uk, you mentioned about the game opening to the MPC homepage. There is a way around that. Delete all the icons that MPC gives on your desktop and go into the games folder and fine engine. This will have application next to it. Now right click this and create a desktop icon. You can then rename it. This will load straight to the game, no ads and finish straight to your computer. As for the game, loaded fine for Win10 64bit Home and played beautifully. Thank you. Yes to your suggestion. Also take note of all the positive "Did you find this comment useful?" It shows that the ones who didn't write a answer or comment still agreed with others that answered "Yes" to your suggestion. First off, I apologise: I'm one that doesn't comment much - I seldom get around to playing any ot the games at all (due to health problems, but I remain optimistic that some day...) let alone the same day. and I won't comment on a game generally unless I have some actual experience with it. I don't usually even Thumb-Up or down for the same reason. Numbers of Downloads do provide some indicator of interest. Secondly, sometimes I may make a general comment and I would hate to be unable to do that - I find others' general comments useful sometimes, and it does provide a sense of community as pointed out. Thirdly, I would suggest a separate page (maybe on the Forum) for 'unhelpful' comments, and transferring any that pop up here with a note indicating having done so. That could allow those comments to actually provide feedback of a sort as a Sample Set, without Censoring them, yet sparing the rest of us from them. Out of sequence, we played a bit of this one today. It's very nicely done. Some of the effects and story line have made us both smile at their ingenuity and quality. The character voices match well - good stuff all round, pretty much. So far - no suggestions. I have really enjoyed playing this game. The music is nice to listen to and the story line is good and it is enjoyable to play. Thank you. Yes, I would love to see comments unrelated to the game removed. In my opinion, if users have comments/complaints about the site they can use the forums. As for today's game, I really have enjoyed it. I don't mind regular HOG, but I really like the ones where you have to figure out how to use the objects you collect, such as this one. I've played fairly far into the game and have just a couple of comments. One is that some of the locations are a bit dark and it makes finding the objects a little difficult. This isn't a big deal and no where near as painful as some HOGs, but it is still a bit of an issue. The other comment is that it isn't always intuitive where you need to go next. Without giving too much away, I ran into a couple times that I added a portrait and nothing happened. No locations were "green" to indicate that I could do something there. I happened on the right room where a character spoke to me by pure luck. Regardless, I have enjoyed the gameplay. Thanks for the game! After a lazy Sunday, I finished the game on Casual. I noted one instance towards the end that the game kept saying a certain location was "green" and the hints kept telling me to do something with books, but I didn't have all of them. The game thought I did and kept insisting that I could do something at that location. Fortunately I was able to find the remaining item and move on, but it was frustrating. I no longer play HOGs because of my bad eyesight (due to age). When I did play them, some were way too hard. It would have been helpful to know which HOGs were targeted at advanced users. My preferred genre of games for many years (maybe 6-8) has been match 3. Some of those were way too easy, of course, once I had played a few. The reason I like match 3's is because they can be played in multiple ways without getting old, depending on which pieces you play in the beginning of a level. The ones I love now and play over and over without tiring of them are Call of the Ages and (to a lesser extent) Cradle of Rome 2. I also enjoy some puzzle games, such as Cave Quest (which I've never totally figured out and can't finish). Thanks, Stephen, for moderating games for so long. You've done an outstanding job and I look forward to many more games with your comments. Thank you for your feedback and kind words Lairie (beautiful name). Please forgive my very late moderation. Not been feeling very well over the last few days. When I checked to see if it was the same game I was thinking off, a look of the google results were for Cave Quest, Following Jesus, The Light of the World. Vacation Bible School. It was an interesting result. Then I found the one I know. Laurie Nelson, I love the wobbly hard hats in Cave Quest. I find I move my head to match them when they move across the board. :) When I checked to see if it was the same game I was thinking off, a look of the google results were for Cave Quest, Following Jesus, The Light of the World. Vacation Bible School. It was an interesting result. Then I found the one I know. And White Rabbit :D I agree with this. I truly don't see well enough to play these games and find the objects without ending up truly frustrating. I've also found that the tend to end up all alike after a time, despite minigames. I like match three fine, but I tend to enjoy the Time Management more. Quest games like Totem Tribe are amazing as well (if you've never played Totem Tribe you truly don't understand why so many of us like it and how addictive it is!). Nice one, this game. The normal dark theme, which comes to us too often with a hidden object game. But the puzzles are no too easy, playing in expert mode. Although cutting a electric supply cord with a siccor...don't try this at home. Well, nice game to keep me occupied for while. Thanks a lot, Alawar! Nice one, this game. The normal dark theme, which comes to us too often with a hidden object game. But the puzzles are no too easy, playing in expert mode. Although cutting a electric supply cord with a siccor...don't try this at home. Well, nice game to keep me occupied for while. Thanks a lot, Alawar! I usually don't say much- I'm even the bad guy on Amazon who rarely rates my purchases. That said, I usually don't even try the games the day I install them, and the developer probably wouldn't look for feedback some days or a week later. I have been sitting on this one for awhile since getting it in some bundle, so I think I will give it a go. I also have a second 1000 doors game to try later. It looks to be a standard-type game of this genre meaning I will probably enjoy it. By all means, go ahead and delete OT comments. It makes sense that a developer would be frustrated by all the giveaway complaints and not want to share anymore. Yet, I have the feeling that is what some here would want, especially the Steam detractors (seriously, the DRM isn't all that bad and Steam isn't going anywhere for the foreseeable future-it *is* their business unlike *cough*EA*cough* so why not indulge, especially with cheap sales and bundles and the occasional free key?). I don't like the contest aspect, especially with the social media junk, but that beats 2000 keys being snatched up in a matter of minutes (or less!) similar to a few "insomnia" GOG promotions. yes. I might make the suggestion that one deletes the comment with a tag "Deleted: no game feedback given" or "Deleted: no comments about the game" or perhaps: "Deleted: another complaint about the site's method of distribution". It is possible that that information might be valuable without suffering through the pointlessness of reading another off-topic comment. I hardly ever have time to play the game on the day it is given away. I tend to play games on certain weekdays when I'm alone in the house (which doesn't happen very often and especially not on weekends.) So, I haven't commented on the games because the giveaway is over. I have so many games from here and steam and various bundles that I wouldn't miss this site if it went away. That said, I'm not sure how I can help the developers. I think the match-3 games are good. I'm not generally a fan of the hidden object games. I don't like shooters. I'm not good enough at the twitch type games to even get through the first part of them. Thank you for your feedback Donald, please excuse the late reply, not been very well, so been taking my time. Some good suggestions made, thank you. I haven't played this game, yet, since I'm packing for a move, and don't have time for that, but I downloaded it because I've already played one game from this series, and was impressed with the gameplay, the mini-games, plot, and everything else. I'm saving this one for a treat, once the move is done. Thank you for alerting us to the fact that it's going to hijack our browser. I understand why they felt the need to try new methods of finding games for us, but it's annoying, nonetheless. I would find it even more annoying if you hadn't warned us, so please make sure the warnings stay if they continue to take games from places similar to MPC. I'll try and come back to comment more regularly when I find a game I like, or one I don't, as I'd much rather have one game per month than know that all the games we download are going to steal our browsers like this. Maybe you should change the name to Game Giveaway of the Week?/Month?/Insert Random Period Here? Thanks for all your efforts, White Rabbit. Thank you for your feedback Dusty, I think the giveaway team have retained the game giveawayoftheday name because the site has a very good standing with the major browsers. If they changed their name it may affect searches. Also they have always meant to return to daily game giveaways, but with the gaming industry in virtual crisis ( loads of development houses going out of buisness including some of the biggest developers, for example, THQ the developer of the Red Faction franchise (Red Faction Guerilla is one of my favorite shooters due to it's physics based destruction )I spend a full week destroying and re destroying a large bridge simply becasue every time I tried, it fell down differently. you could dismantle it with a sledge hammer bit by bit, girder by girder, or place sticky bombs strategically and even crash vehicles into various parts of the bridge and that was just one very tiny fraction of the game. Collapsing tall chinmeys was brilliant) and Company of Heroes went bust over 2 years ago and the developer of the Bioshock franchise went bust last year), constant sales and the ability to buy bundkes of games for ridiculously low prices has made it really hard to get many free games. The daily games stopped in 2008 about the same time arcade games suddenly reduced in price by around 70%. Dustandroses, game giveaway of the day is the only name that fits, the individual giveaway lasts A DAY not a week or a month. The fact that they may occour once or twice a week is immaterial as it's not called game giveaway each day! This is a perfectly lovely game. Nice graphics and decent music...not annoying. It has a good story, and I love being able to look for items that change from one thing to another over time. Yes, a lovely game, and I would not change a thing about it. Thank you for making it available on GAOTD ! I am not able to get the games lately... I can download the zip file and unzip.. Then I get the "Readme, Setup "key" application and the Setup "IE'.... When I go for the setup application it activates the file, but does not install. What is going on???? Hi Lakoi, it's probably your security that is blocking the giveaway due to the wrapper which contains Themida code. The code was put in place to protect the wrapper from hakers. It can also be used to hide malware, which is why some anti-malware suites flag it as dangerous and won't let you install the game. You may have to temporarily turn off your security. I can assure you game giveaways have been tested for malware and are clean and safe to install. Comments: No, you should not just delete the complaint comments. That doesn't mean that you should not Moderate. Deleting a post is not your only moderating option, although the comments that are just gibberish warrant deletion (the one by Andeea for example, 'Cg' is not a meaningful comment). Your comments asking for people to be more constructive than critical and explaining why things have changed is a very good example of effective moderation. The Game: Personally, I like these Adventure/HOG games. I don't mind the dark theme (there have been some much darker ones in the past). I like having a story to tie things together. The graphics in this game are very well done. The puzzles are not the toughest ones we've seem in this game type, but they are not overly simple either. I like having the map to go directly to a location rather than having to click through every place in between. I've played to about half way through chapter 3 and I'm looking forward to continuing. The Site: Thanks to your explanation, I now understand why this site has changed how the games are acquired. I do, however, think that the specific requirements should be detailed in the panel where the system requirements, publisher, file size, etc are shown. We shouldn't have to guess or hunt through the comments to discover the specific game's requirements. For example, the information that this was a Steam Key and it required a Steam Account was in your review, so was dependent on you, a volunteer, to tell us that. Another example was the game last weekend (sorry, I don't recall the name) that implied that you could use one of three methods to get the game, but actually required all three, really caused a lot of confusion and frustration. So, given that these requirements are outside of the sites control, they could do a better job of letting us know that and what the requirements are up front and easy to find. Bypassing the MyPlayCity browser redirects (feel free to moderate this section if you deem it inappropriate to divulge this): The file 'pgame.ini' controls this. If you edit it and replace the first two lines, that contain the pre and post URLs, with a single space then the game will not do the browser redirects. Stephen: Your contributions here are amazing. You put in a lot of effort and make this site more interesting. Your reviews tend to be much more informative than the game's homepage and hold a lot more weight than any review from a stranger. You're someone we have grown to trust and respect. Thank you for your comment JB, much appreciated. :) Sorry for the late reply.. After taking abreak for lunch I slept for several hourse, then it was family time. Not feeling well at the moment so moderation is difficult. I'm having to skip a lot of comments I'd like to reply to. Maybe tomorrow after I've spelt. On my Windows 8.1 I got the error 'key could not be unencrypted'. YES, Yes get aggressive- delete even say up to half of a post. TY for staying with us. I do not like the hi-jack after playing a game. (I don't go crazey though). I enjoyed to the crazey point 4ElementII, Fishdom,Tales of \orient, WeatherLord,call of ages..Angry dad is a fun game-but I find it tough to progress- I don't have any Moonshine yet, How do yu jump over taller signs or haywagons?? I DON'T have quadcore so I can't play Medal of H PacificAs?? Thank you for your feedback Ed, You don't need a Quad core computer to play Medal of Honor: Pacific Assault. The game was released back in 2004/5 before Quad cores were available. I think I first played it on a single core computer with less than 2GHz clock speed and only 2GB of sys RAM and 124MB of gRAM. Yes to your question; and many thanks for being such a great site"host" and mod. When I write a comment I try to make sure it's helpful to the developers and I try to be fair, even with games that aren't my cup of tea. I make an effort to take time out of my day that is NOT normally allocated to game play in order to post a review that will be relevant on the give-away day. It's a great inconvenience to me and one I will not be doing today because I can't really see the point right now. This is a forum to give feedback to the developers. If I find their registration onerous (and I consider the hoops to be the fault of the developers and not GGAOTD), I consider that legitimate feedback. That someone doesn't agree or like my opinion doesn't make it any less valid and I certainly don't appreciate the idea that the time I take to comment or participate in this forum will be relegated to digital oblivion simply because people don't want to read what appears to be the overwhelming majority opinion on the subject. If you want only a review of the game, there are plenty of places to get it fast and easy with a Google search. For once I don't agree with WhiteRabbit about the complaints. They are legitimate and part of the game and do affect whether someone decides to purchase it. If I were a developer, I would want to know what stops people from trying/buying my game and some of the DRM hoops do stop people. I don't expect the latest and greatest release from a developer given away and I haven't seen one yet on this site. I doubt the developers are seriously worried about our opinions about game play from a game that is 5+ years old and the 1st iteration of a series that is on #5 or more. What they are doing is gaining brand recognition and customer goodwill in the hopes of selling more of their latest offerings. If their treatment of me as a customer on this site is not satisfactory, then I'm not likely to purchase their newer games. If they don't care to hear my opinion of this, then I don't want to do business with them. I'd like to know which developers don't care at all about my opinions so I can avoid them when I'm buying from sell sites. I'm not always crazy about Alawar's games, but I do have a soft spot in my heart because of how well they have treated us on this site and it it's a toss-up between them and another, I'm picking one of their games. As for today's offering, why should I download from GGAOTD the exact game and hijacking wrapper I can get at any other time from MPC? If I wanted MPC on my computer, I'd download it myself. I was expecting to at least not have the typical browser hijack when I closed the game. I don't like MPC and I'm not dealing with it on my system. So MPC and whoever really developed this game: I don't care if it's free, I'm not putting it on my system. Fix the annoying crap and I'll be more likely to do real business with you. I've been meaning to try one of the "1000 Door" games long enough to determine if I want to buy some, but I guess I'll stick it on the back burner again while I play my other games. I do have sympathy for you WhiteRabbit. This is a tough gig and you do a fantastic job. I will agree that the comments that are simply like "This is crap!" without any explanation are completely useless and don't deserve the space and time it takes to type them. Ditto for profanity laced comments. If you have to cut out most of it for profanity, then maybe you should just not post it at all to save yourself some time. Although a doubt it will happen, maybe there can be a section for game play reviews and one for overall experience reviews. Or maybe you can make a comment heading that we can reply to that only contains game play reviews so other users can peruse them first at the top and continue to scroll for other non-game play related content below that.Of course, we'd have to police ourselves and maybe that is asking too much from us. Whatever you decide to do WhiteRabbit, I'll totally support your decision (seriously). Ultimately, you are the one who has to wade through all our whining and wailing and it should be as easy as possible for you. This is one of the few forums I frequent and participate on and it's because of you that it is so nice here. Good luck, take a break, and don't let this turn into work. The world won't come to an end if our comments aren't posted right away - or ever, lol.